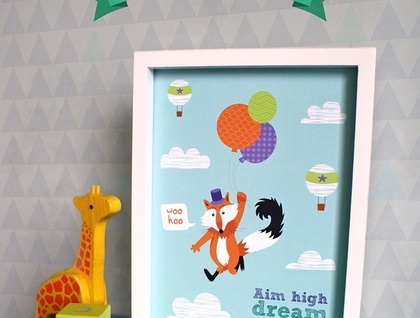 Decorate your baby’s nursery or child’s bedroom with this delightfully illustrated fox print. 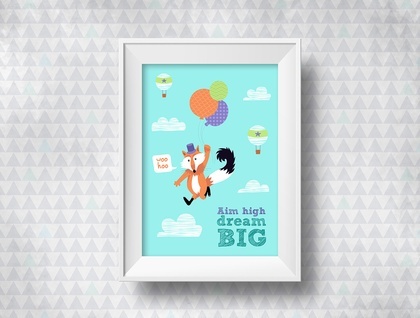 Quirky and cute, with an added quote for inspiration, this vibrant design will add instant impact to your child’s bedroom. Simply pop in a frame and hang to add character and a splash of colour to your desired space. Great as a gift for an expectant Mum or friend who has just had a new baby.